The Nokia Lumia 920 was the first phone to feature Optical Image Stabilization (OIS) and has gone through some pretty extreme tests (including being strapped to the front of a four by four and driven through a desert). Now, a post on WP7Forum.ru shows another test of the OIS, pitting the Nokia flagship against the brand new Samsung Galaxy S4. Samsung’s flagship droid only has digital image stabilization to rely on so it’s at a disadvantage. The video is in Russian, but if you don’t speak the language you’re not missing much (other than the reason the remote control car had to be towed manually, its batteries were out). Now we’re waiting for a Lumia 920 vs. HTC One test as HTC’s flagship has OIS too. 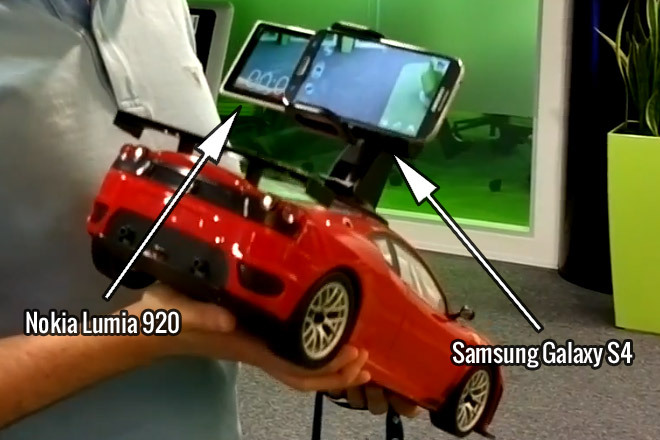 You can see how it stacks up against the Galaxy S4 in our own test.